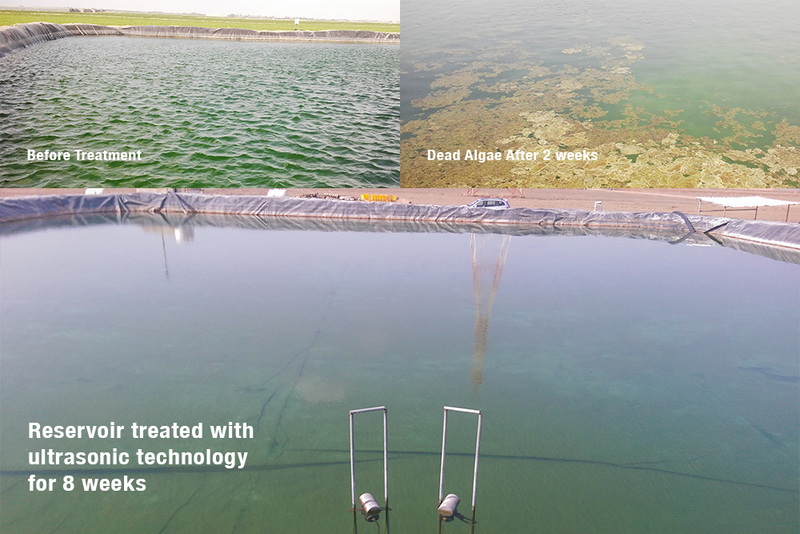 Algae Control in Water Reservoir Testimonials | Efficient Sonics Ltd.
Our Distributor, Sustainable Soil and Water, was contacted at the start of 2014 by Tawoos Agricultural Systems LLC , Sultanate of Oman, one of the largest producer of fruits and vegetables in the Arabian penninsula. Algae growing in their irrigation lagoons was causing problems with their irrigation system and so wanted a chemical free method to eliminate the algae. A Smart Commerial 50 L 2 unit with two transducers was supplied to treat one of the lagoons, measuring 960 sq m.
To read the full testimonial, please click here.